Those of you who regularly read my blog might have noticed that I didn’t have one last week. That is because I sprained my wrist last Wednesday and it was still too painful and inflamed last week to type. I seem to be recovering quite well and wanted to share with you some of things I am doing to speed my healing. I am lucky because I have access to so many health resources, so I have probably done more than most people can, but others could use even a portion of my treatment. And in addition to my natural treatments, I did get x-rays of my wrist to rule out a fracture. The very first thing I did after being injured was take homeopathic arnica and apply an arnica gel topically. Arnica is useful for pain, swelling and bruising, and it is my first step for any type of injury like this. I continued to take the arnica several times a day for a few days afterwards. I also took nutrients that the body can use in the formation of connective issues such vitamin C, manganese, zinc and silica. I am also using inflammation-modulating herbs with Boswellia being the lead herb. Boswellia is actually frankincense and it inhibits inflammatory mediators in the body, while not irritating to the stomach like some over the counter pain relievers do. It is also mildly pain relieving while being thought to help preserve the cartilage in our joints. The pain was so bad the first two days I did take two of the pain pills I was prescribed, but after that I could manage the pain with herbs, appropriate activity and the following physical therapies. In addition to supplements, I employed several different types of physical medicine. I used Enertropic Therapy to open up the energy pathways in my body and help speed up healing. Enertropic Therapy is one of the healing modalities offered at Harrison Optimal Health in Harrison, Arkansas where I work once a week. Dr. Ali Racheotes, DC of Sports Chiropractic Acupuncture did very gentle adjustments of my wrist and the rest of me. She also used cold laser therapy on my wrist to help reduce pain. I am doing contrast hydrotherapy on my wrist since the first 24 hours. This involves soaking my hand in hot water for 3 minutes followed by a minute in cold water. This is repeated two more times ending on cold and is done once or ideally twice a day. The alternating hot and cold water pushes stagnant fluids out of the affected area and can help reduce pain and inflammation. Finally, I am doing passive range of motion exercises where I am gently moving my wrist using my other hand, but it is best to discuss with your doctor or physical therapist how and when to do these. It has only been a little more than a week, but so far I am healing well. I can’t wait to be back to back to normal so I can do all of my regular activities like blogging, gardening, cooking and canning. 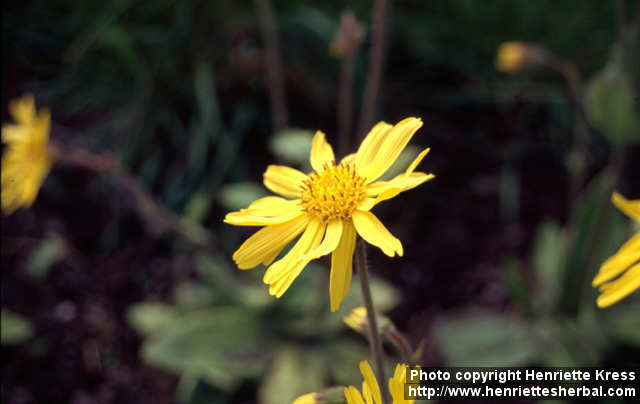 This entry was posted in Health and tagged arnica flower, cartilage, connective issues, health, inflammation, inflammatory mediators, joint pain, ligaments, nature, nutrition. Bookmark the permalink. Do you practice closer to Bella Vista at any times? I see patients in Fayetteville at Northwest Arkansas Natural Health. We are just half a mile off of I-540 on Highway 112.